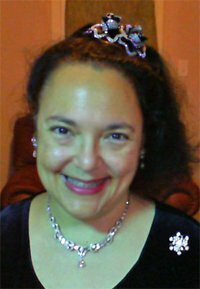 As love’s fire became firelight, Mary E. wrote on the inside of her comb box, “This is for Carrie M. Golches. Mary E [last name].” Another’s pen added, “She passed away about 1923, age 91.” The script is American; the comb was probably a gift, brought over from England. 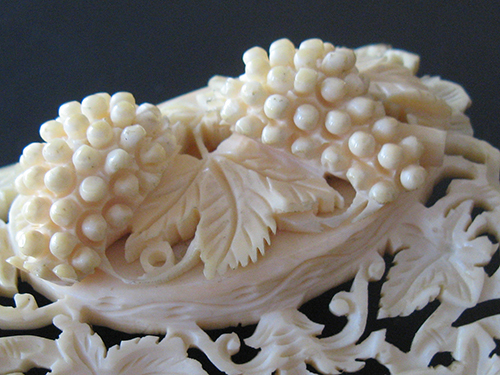 An intricate design of berries and leaves surround a medallion with two bunches of grapes, over a comb of finely carved teeth, c. 1860. The design’s finesse immediately tells you it was made for a woman of privilege, sheltered from the awareness of poverty. 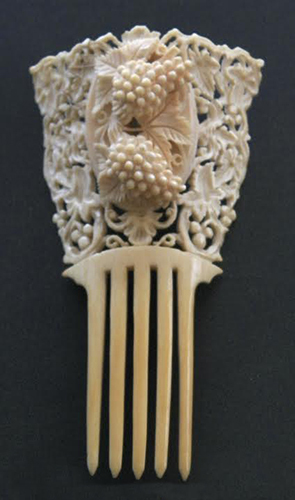 The Victorian Age was an apex in English comb making. 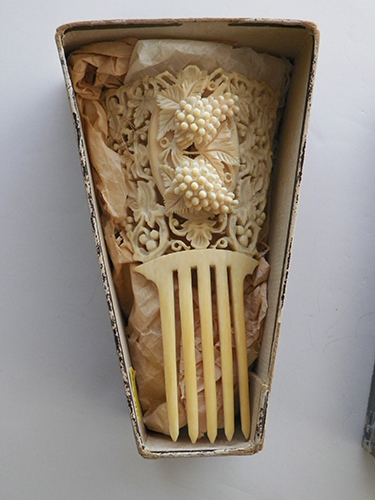 Comb makers arrived in London from France to take advantage of higher wages and a steady market. However, it was also the age of Dickens’ Great Expectations. He and other authors revealed the humiliation, Industrial-Age child labor, and hunger of the poor. In tracing the connections to how Mary E. got her comb, one cannot ignore upper-class indifference to what Prime Minister Disraeli described as “the two nations,” nor can one ignore Africa. Missionary Alfred J. Swann wrote in the 1880’s, “… Feet and shoulders were a mass of open sores, made more painful by the swarms of flies which followed the march and lived on the flowing blood. They presented a moving picture of utter misery,” noting also that they were covered with the scars of the “chikote,” a leather whip. 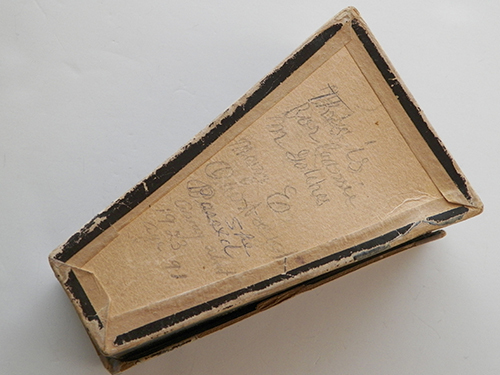 …and a young Mary E. accepted a gift from her true love, which she meticulously kept in its original box until the end of her life. 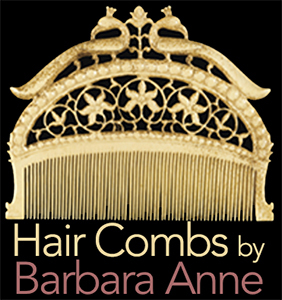 BarbaraAnne’s Hair Comb Blog is sponsored by Ethnic Jewels Magazine and Barbenette Designs. We’re introducing a new one with more products: hats, t-shirts, mugs, totebags, and notecards. 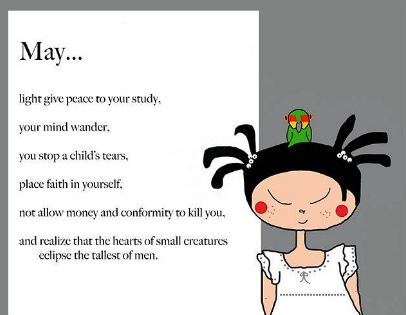 Click the image to see.